A staple of the Fantasia Festival, and like Takashi Miike a very prolific director, Johnny To had a new film at Fantasia this year called Drug War. Sold as the dismantling by the police of a Hong Kong crime cartel with the help of a compromised boss turned informant, Drug War is so much more complex than just a straight crime tale. We’ve seen To handle crime before. In Election, To portrayed the “democratic” succession of a Hong Kong criminal organization. In Exiled, To portrayed a man whose criminal past catches up to him. And the whimsical Sparrow was a light romantic comedy set in the fast world of pickpockets. To is one of my favourite directors for several reasons: he’s prolific, sometimes directing several films a year; his output is of a constant high quality, no doubt helped by the way Milky Way, his production company, has streamlined the production process; he’s a film connoisseur and through his oeuvre, we re-experience old films and styles; he plays around with different genres, moving from crime stories to film noir, to romantic comedies, but always introducing elements of Hong Kong cinema. The Drug War title was misleading to me. For some reason, I envisioned a confrontation between criminal elements for control of the Hong Kong drug trade. 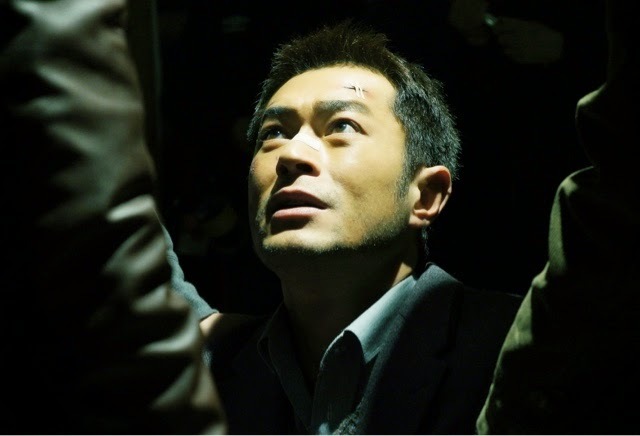 The movie’s plot turns out to be much more clever than that, setting up a story in which Louis Koo’s drug lord character, Tian Ming, is quickly trapped into helping the police, while coming to terms with the recent death of his family in an accidental meth lab explosion. Koo is magnificent as Ming; you almost feel sorry for his loss before we slowly discover that this character will do anything he needs to survive, abandoning all loyalty and honour. Ming’s evil is subdued and controlled, but it’s there, especially in the final scenes. To keeps us truly engaged, as we wait to see what will happen to him. Additionally, most of the characters are fleshed out, and this is truly an ensemble cast, with a bevy of characters on both sides of the criminal divide. The writing is sharp and gripping, surprising us at every turn, setting up great action scenes (probably the best in any movie this year) that To directs with brilliance. Drug War leaves no doubt of To’s cinematic importance. It also showcases that Milky Way may have found a successful business model for film production. The film is one of the finest works I’ve ever seen from Johnny To, and it is definitely one of the best films of the year.